All transactions are safe and secure with a reliable history in online purchasing behind each of our associates. Buy the Talladega Nights Hat to own Talladega Nights clothing and merchandise. Browse through to see this design on related clothing, mugs and the Ricky Bobby hats pictured on the left. It's perfect for fans of the character from the humorous Will Ferrell NASCAR movie. 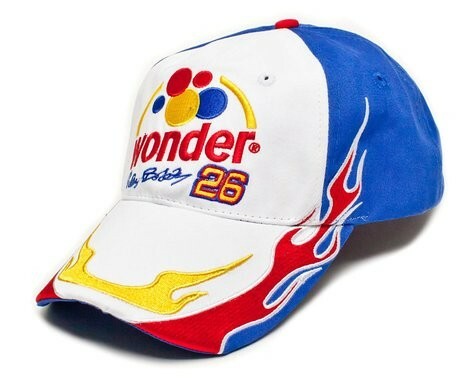 Drive it like you stole it in this #26 Talladega Nights hat that lets everybody know exactly whose race team you are on. In addition to the Talladega Nights Hat above, browse the Talladega Nights Clothing Gallery for more apparel like men's and women's clothes, kids shirts or hoodies.